Lets put those cherries on fire! What comes to your mind when we think of cherries and vanilla ice-cream? 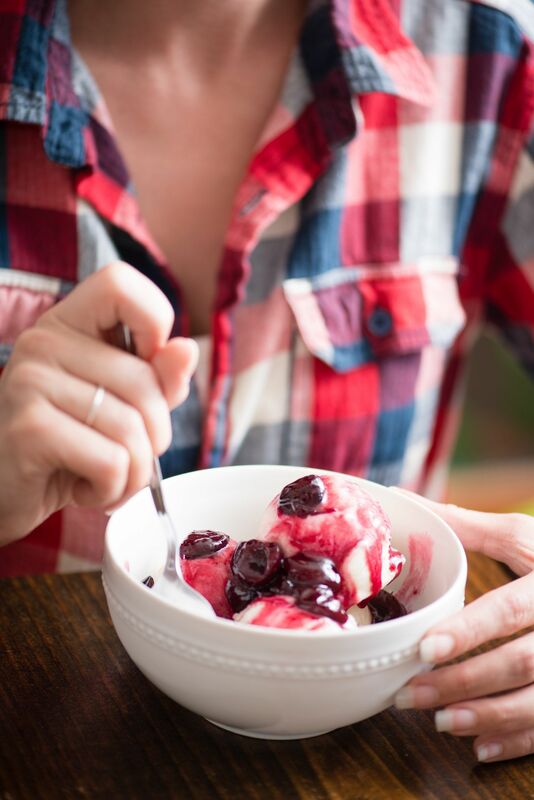 When you need to spice up your bowl of plain old vanilla ice-cream and chocolate sauce gets boring, experiment with the well-loved dessert recipe – cherry jubilee. Why not read up a little more about its history and what it’s all about? The Cherry Jubilee, is a dessert that consists of flambéed dark sweet cherries and liquor, which is served as a sauce to ice-cream. Liquor is essentially an alcoholic beverage that is made from distilled water concentrated with herbs, fruit cream, spices, nuts and flowers along with added sugar and high-fructose corn syrups. Simple to make, the cherries are the superstar of the dish that make all the difference to this delectable dessert. The credit for creating the first Cherry Jubilee recipe goes to Georges-Auguste Escoffier, who was the pioneer of modernizing and simplifying traditional French cooking. A well-reputed French chef of the 20th century, Escoffier prepared the dessert for Queen Victoria’s Diamond Jubilee celebrations in 1897 as mentioned in his book “The Memories of My Life”. He took inspiration from the old French method of preserving fruit in sugar and introduced the Cherry Jubilee to the world, though it did not include vanilla ice-cream at the time. Sure enough, the Cherry Jubilee gained quick fame in posh restaurants and homes in the late 1950s and early 1960s, and was a popular after-dinner dessert. However, it had become something of a cliché by the end of the 1960s, and the dish was soon forgotten. Commonly served with ice-cream, the cherry jubilee sauce is made with flambéed and sweetened dark cherries. Looks like your average cake, decorated with cherry jubilee sauce. Similar to a cherry milkshake, you can always experiment with different flavors and toppings. In this day and age, let’s bring back the quintessential French dessert in all its beauty and charm and nail it into perfection and feel the bliss of it as it tingles our taste buds. Previous articleHave You Discovered The 4 Corners Of India Yet? Have You Tried The Crispy Duck At These Restaurants In Bali?